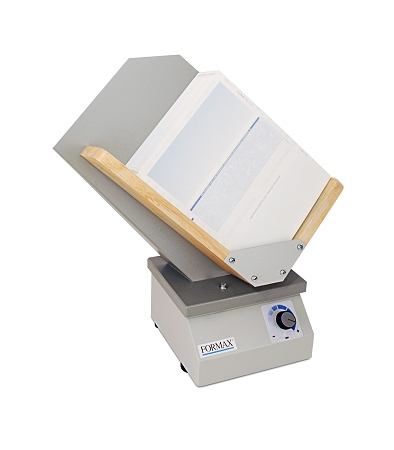 Part Number FD 402P1 Jogger 11" x 17"
The FD 402P1 Single-Bin Paper Jogger provides quick and easy alignment for a wide variety of paper sizes up to 11" x 17". Jogging forms helps to separate them and reduce static electricity for accurate feeding through pressure sealers, folders, inserters and other paper handling equipment. Its solid state switch controls on/off and vibration speeds, up to 4,000 per minute. Electromagnetic design allows for continuous operation, while the slotted clean-outs allow paper dust, staples, paper clips and other debris to exit the jogging bin. The FD402P1 also features a tilted rack and a center divider to properly jog small paper stacks. Paper up to 11" x 17"
Copyright 2019 Print 2 Mail Solutions. All Rights Reserved.